Roman's first Ford Mustang was purchased on July 9, 1986. It was a brand new 1986 Ford Mustang GT. It was white with charcoal gray interior. Above: Roman with his 1986 Mustang GT. This picture was made in the spring of 1989. The car had survived two years of high school life and one year of post-high school life. At this time, it had around 57K miles on it and it was packed with four (4) 18" KICKER subwoofers powered by two (2) Rockford Fosgate Punch 150 amps. It had chrome aftermarket wheels & an alarm system. No modifications. Roman was 19 years old in this picture! 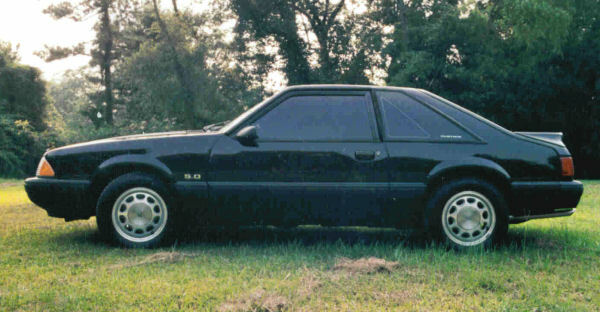 Above: Roman's 2nd Mustang came in February 1990. It was a gray 1989 Mustang LX 5.0 sedan. It was not a police package. 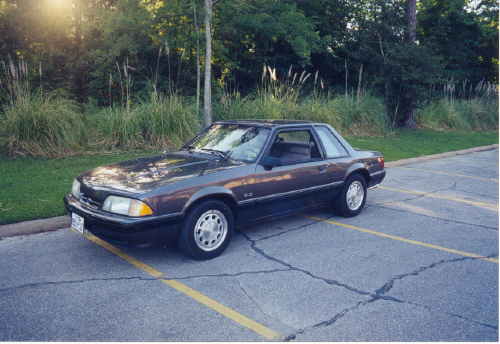 Roman's second Mustang, pictured above was purchased from Al Meyer Ford in Lufkin, Texas in February 1990. This little Mustang was fully loaded to include power windows and locks and an automatic transmission. It had gray cloth interior. When purchased, it had 11,309 miles on it. This Mustang has been completely restored and now has a good home in Longview, Texas. But she's not gray anymore - she's RED! Above: 1989 Ford Mustang LX 5.0 hatchback. Purchased used in the fall of 1992 from Center Motor Company in Center, Texas w/42,000 miles on it. Automatic transmission & red interior. Kept until summer 1996 and sold with 89,000 miles on it. It is still seen from time to time around the Lufkin - Huntington area. Only modifications were 2-chamber Flowmasters. This was Roman's 3rd Mustang! 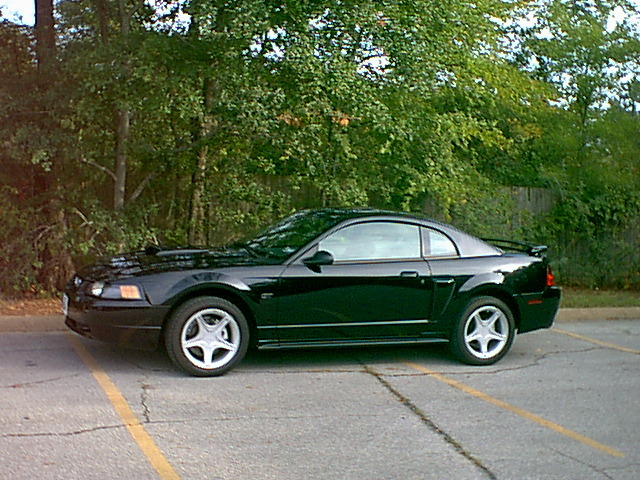 This was my 2002 Mustang GT. I bought it at Tyler Ford in Tyler, Texas in September 2002. It had an automatic transmission and gray cloth interior. I traded it in for a 2003 Ford F250 pickup in June 2003 due having a new baby on the way. I needed more room and four doors! Above: This little Mustang was observed in Jasper, Texas one night back in the fall of 1994. It had damage to the front passenger fender. I contacted the owner and solicited the sale of the car. I was declined but I checked back often. In March 1998, the owner called and offered the car for sale. A price was agreed upon and it was purchased. It had 101K miles on it. It needed some front-end work, a fuel pump and a few other small things. It had an automatic transmission, power locks and windows and gray vinyl interior. It was later sold to a local policeman and then went on eBay. Its location now is not known. It was NOT a special service/police equipped vehicle. This was Roman's 4th Mustang to own since 1986. It closely resembles the '89 sedan above, but it's not the same car. Purchased in November 2006 from a man in Decatur, Texas this Mustang convertible was quite an eye-catcher. It had 49,000 miles on the car when bought and was sold in April 2007 with 54,000 miles. Its origin was Hawaii and is believed to be a former rental vehicle.